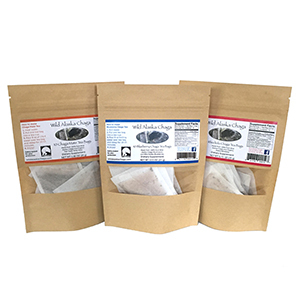 Our chaga variety pack includes: 10 blueberry chaga tea bags, 10 chaga mate tea bags, and 10 rhodiola chaga tea bags. 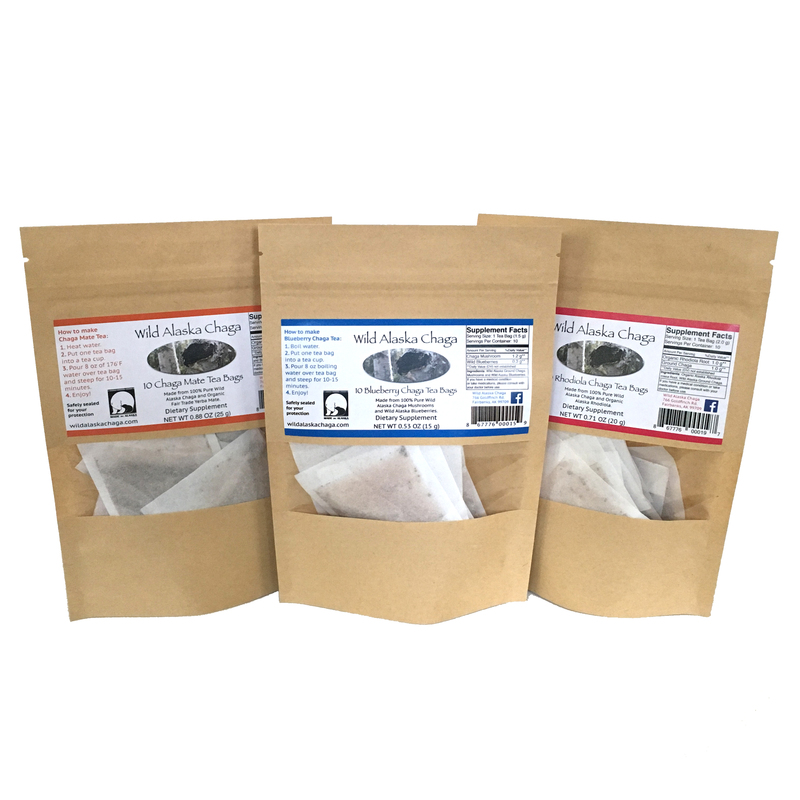 The variety pack allows you to taste each of our chaga blends and save 10% on your order! Travel from the Fairbanks region of Alaska sampling wild chaga and wild blueberries then head south to taste rhodiola, organically grown near Anchorage. Finally, enjoy our blend of yerba mate from South America for a truly unique combination from each earthly hemisphere. *These statements have not been evaluated by the Food and Drug Administration. These products are not intended to diagnose, treat, cure, or prevent any disease. The information on this webpage is for educational purposes only. Be sure to consult your health care professional for treatment, diagnosis, and concerns before use.